Cats are great – except when they cover your house with hair while shedding. Even the most lovable of furballs can become a nuisance if shedding season lasts too long. Trust me! I know through a little too much first-hand experience. Luckily, I found a solution. I was sick of the shedding. I was tired of endless cat grooming. But I knew I couldn’t live without my furry friends. So I set out to learn about non-shedding cat breeds. I wanted to know everything about cats with short coats that just don’t shed that much. So I dug into the research. I went to the pet store, and I always nagged my cat-loving amigos about their furballs. Google became my best friend. Then I went and put together a list of furry friends that don’t shed too much. 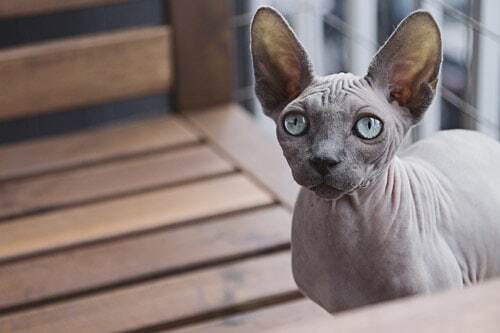 A deliberate effort to create a breed of cats with no hair, the Sphynx came close to this noble goal. While these animals are not hairless, they do NOT have a coat. This breed has a very beautiful down layer of hair that gives them a unique feel and look. The Sphynx comes in a variety of patterns and colors. Most cat owners find them to be affection and incredibly intelligent. With such a small amount of hair, you may have to make an effort to keep these little guys warm. Luckily, that often means a little extra snuggling. 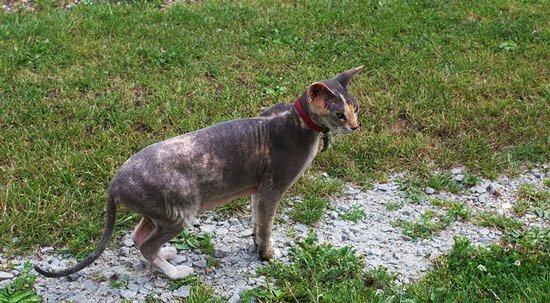 The Cornish Rex cat has a coat of hair. However, this coat tends to be sparse and short. 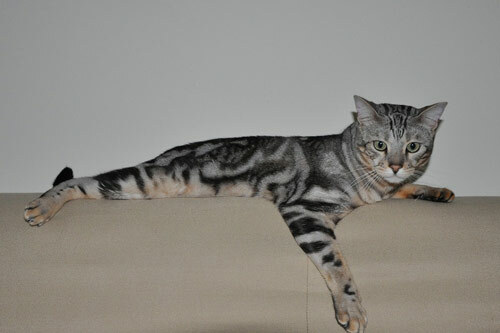 Their fur typically features a unique pattern that allows the down layer to grow differently. Thus, these felines effectively don’t have two outer layers of their coat. Cornish Rex cats need a lot of help maintaining body heat, as their coats don’t offer much warmth. This means a loving owner who snuggles with them at night is an absolute must. 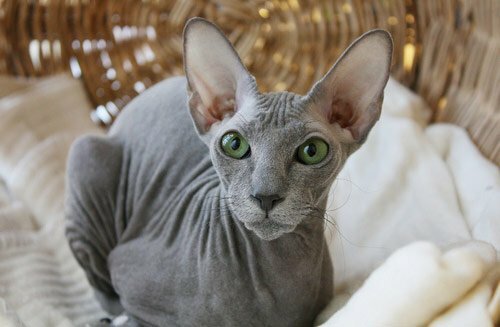 A non-shedding breed of Russian origin, the Donskoy cat has similar features to a Sphynx. However, these animals sweat to stay warm – a unique feature for any felines. Cat owners with numerous furballs have noted that Donskoy cats tend to get along well with other cats, dogs, and house pets. The animals tend to be fairly fond of children, too. 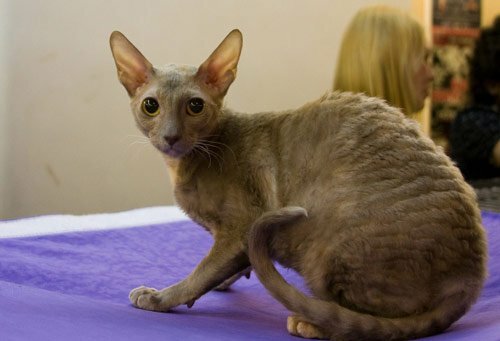 An incredibly unique non-shedding cat breed, the Peterbald is a deviant of the Russian Donskoy cat. Some of these friendly furballs are born with hair, while others are not. Most of these cats tend to lose their hair as they age. Their uniquely large ears and slender builds tend to be defining characteristics of a Peterbald. With small heads that bring out their bright eyes, the Peterbald is quite intelligent and sociable. Many owners note their furry friend loves to follow them around the house all day and night. If you’re looking for a fierce looking feline, then the Bengal cat may be for you. This low-shed furball breed has a bold coat. Many think they look like tigers. 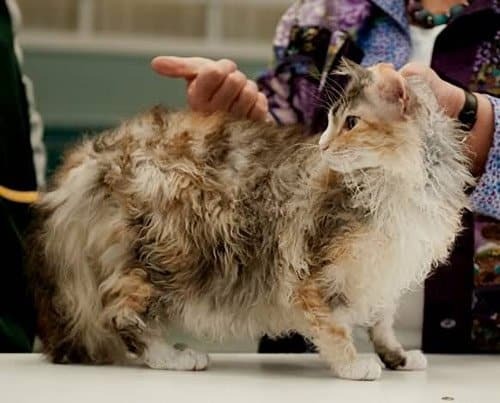 With such a stunning coat, they tend to be popular low-shed felines – as many other breeds cannot compete with their dramatic coats. Bengal cats don’t need much grooming. Their coats don’t require maintenance or shedding. However, the Bengal cat does need a lot of love and affection from their owners. These cats are talkative and need attention more than other non-shedding cat breeds. 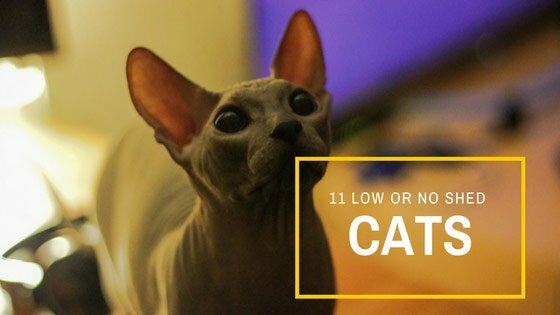 If you’re looking for a low-maintenance cat that doesn’t shed much, but you hate the bald look of almost hairless breeds – then the Javanese cat may be for you. These furballs feature three layers of fur, yet they don’t shed too much. Personality-wise, the Javanese cat is fairly outgoing and loves to be around people, especially their owners. And while all animals love to eat, the Javanese breed tends to have a larger appetite than other similarly sized breeds. 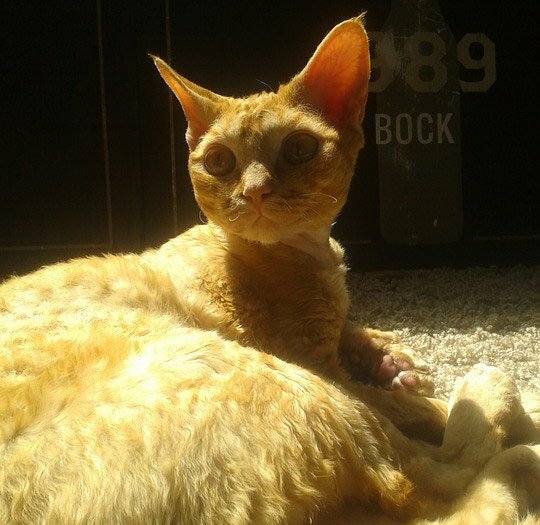 Not a hairless cat breed, the Devon Rex has curly, thin fur. While it isn’t genetically related to the Cornish Rex cat, they can look surprisingly similar. Many cat owners instantly become enamored with the cute, big ears found on this breed. Cat owners have found these animals get incredibly attached to their owners. Some would even say clingy. However, don’t let that worry you. This breed is one of the smarter we’ve come to know. Devon Rex cats can be trained easily and love to play above lofty outposts. 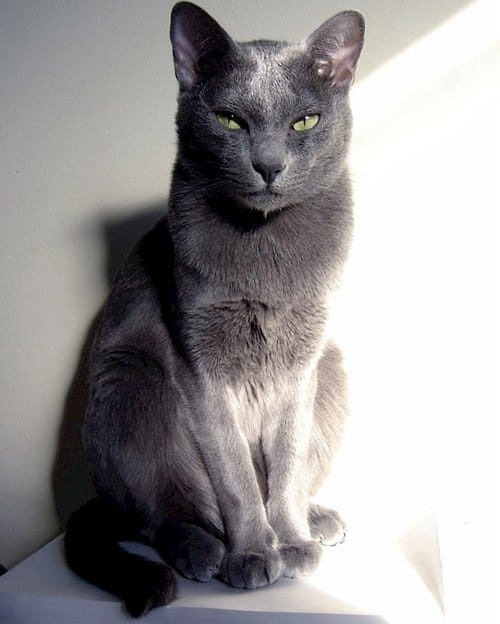 One of the most unique looking cats out there – the Russian Blue cat features a blue-gray coat with bright green eyes. While this isn’t a no-shed breed, the cat only sheds once or twice a year. As such, it’s easy to take care of a Russian Blue. Exceptionally loyal to the people they love; a Russian Blue cat can be slow to make new friends and bonds. These cats typically only want to spend time with their family, as outsiders can make them weary. 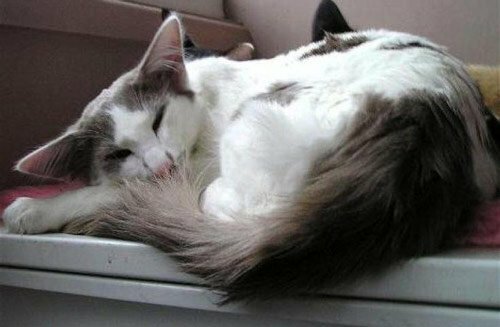 A low-shed cat that looks like it would be shedding all the time – the Laperm cat is a loveable furball. 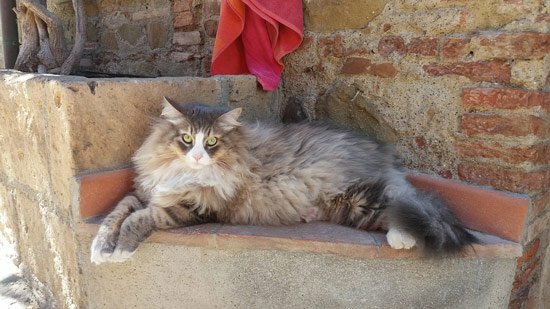 Many owners find these felines look like they just got out of the dryer all the time. However, these animals rarely ever shed. Owners who want a cat that looks like it has a big coat without all the maintenance will love the Laperm. You’ll never have to spend much time grooming these guys or cleaning their little amount of hair. A Siberian feline is large cat breed with a big, thick coat from Mother Russia. While that description doesn’t sound like a low-shed furball, but it is. When one of these big boys sheds, the fur typically gets caught in their guard layers. Then it stays there until brushed. While cat owners will have to brush a Siberian from time to time, the fur that does shed is incredibly easy to manage. You’ll often find these athletic, lovable pets curled up in unique hiding places around your home. 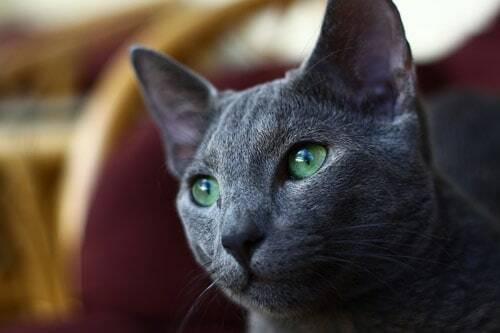 A unique cat breed from Thailand, the Korat cat offers a gray coat with smooth blue eyes. With only one short coat of fur, this stunning animal just doesn’t have much fur to shed. One of the smartest cat breeds on planet earth, the Korat prefers to interact with a few close friends and owners. They aren’t exactly a social breed. Do note – the Korat cat is one of the harder cats to train, but they can be fiercely loyal once trained. Finding the perfect non-shedding cat breed isn’t an easy task. You want a social, fun animal that doesn’t require a lot of maintenance. That’s why this list was put together. To help you find the perfect low-shed cat for your home and family. Best of luck find the perfect furry friend for you! Don't forget to check out our cat toy guides and cool automatic feeder & litter box products!